Bestop's® Sailcloth Replace-a-top is 50% quieter than a '97-'00 Jeep® Wrangler factory denim top. 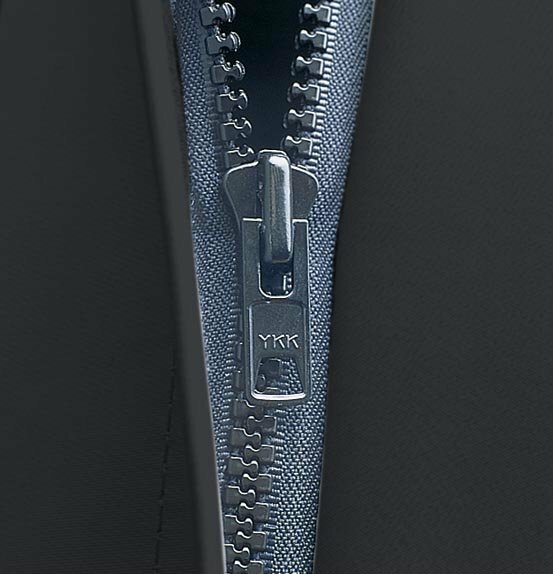 The secret lies in the unique multi-ply heavy duty Sailcloth fabric. Each ply plays a different role, but together they reflect road sounds, absorb wind noise, and prevent buffeting to create a silencing effect that absolutely must be heard to be believed. 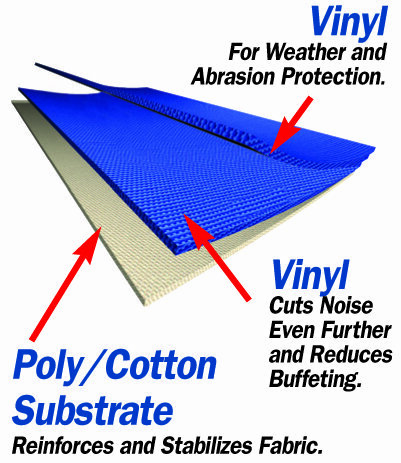 In addition, the heavier weight Sailcloth fabric resists temperature-induced shrinkage, making cold-weather installations much easier. It also shows fewer waves and wrinkles than conventional tops and cleans more easily to help make your rig look really sharp! If your Jeep® deserves the absolute best top on the market, or if you are tired of getting 'beat up' behind the wheel, you must experience the Sailcloth revolution! Sailcloth Replace-a-tops™ are the quietest soft tops on the market. 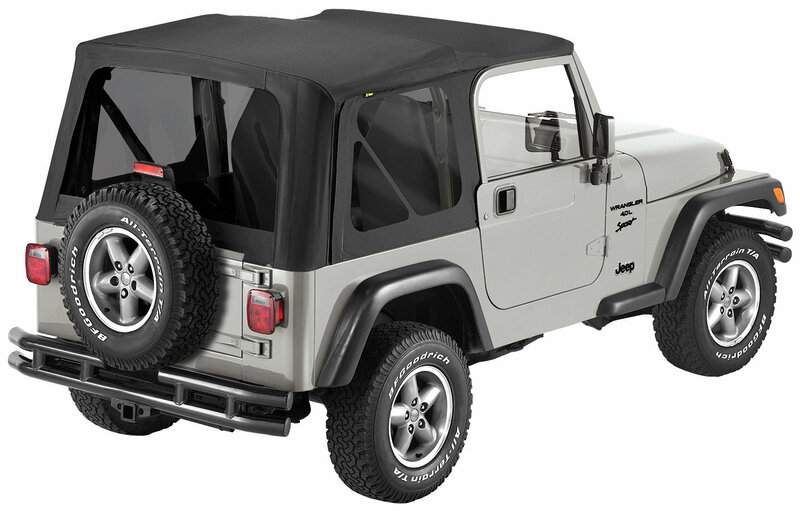 The secret to this Jeep® soft top lies in the unique multi-ply heavy duty Sailcloth fabric. Each ply plays a different role, but together they reflect road sounds, absorb wind noise, and prevent buffeting to create a silencing effect that absolutely must be heard to be believed. Tinted window feature a customized look. To keep your Bestop® Sailcloth Replace-a-top™ clean and protected, we suggest using the Bestop® Three Pack Cleaner and Protectant Kit for unsurpassed appearance and long life.